Jared has found the deal of the century. 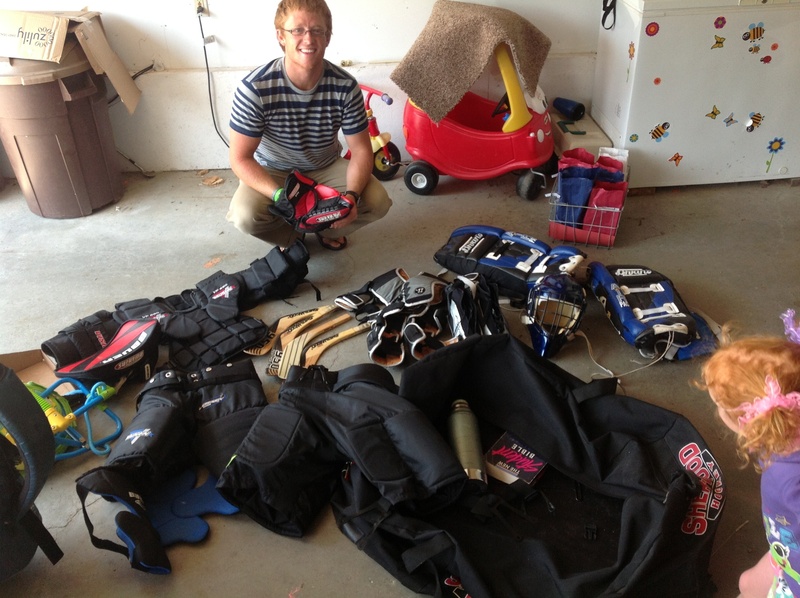 He found this bag of hockey gear at our local thrift store for $20.00! He has always wanted to try playing goalie, especially since he was a catcher in college.